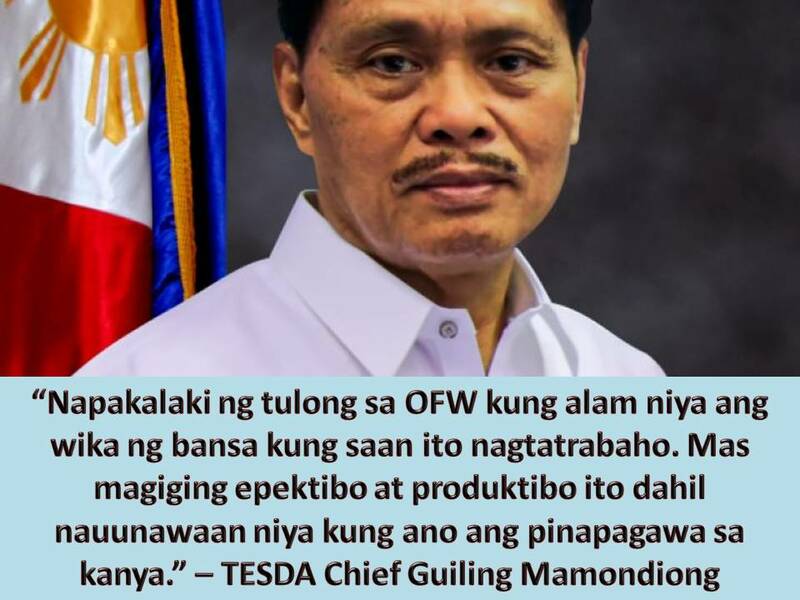 THOUGHTSKOTO Thoughtskoto : Do You Agree, OFW Needs TESDA Language Training Before Deployment? Do You Agree, OFW Needs TESDA Language Training Before Deployment? Due to language barriers, while working in other countries, we cannot deny that there are Overseas Filipino Workers (OFWs) who are beaten by their employers because they cannot get or understand a simple instruction. 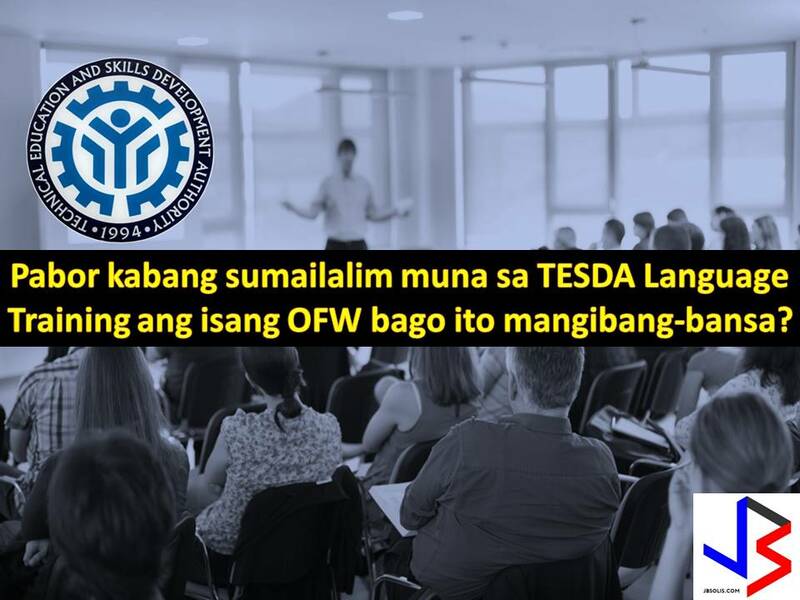 This is the reason why the Technical Education and Skills Development Authority (TESDA) intensified its coordination with foreign embassies in the country in a bid to upgrade the language proficiency and culture training of OFWs. 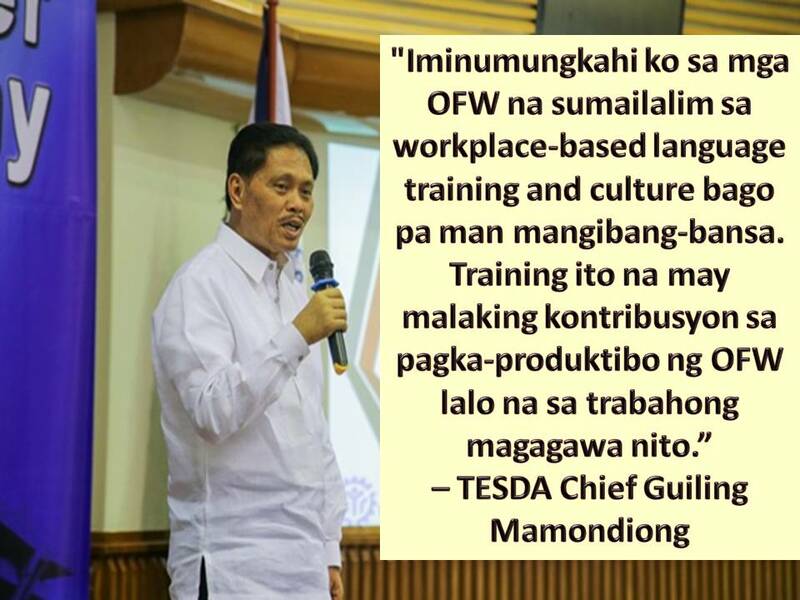 According to TESDA Director General Secretary Guiling A. Mamondiong, language-proficiency and culture training program is a big help to OFWs to communicate easily and learn about the culture of the country they choose to work. In a recent study, it is stated that "training on language and culture will boost the appreciation and understanding of OFWs in their workplace abroad."